Amber Ale (5.0% ABV): This beer pours a nice dark copper color with a bit of head. The aroma is slightly sweet, with pleasant malty notes along with a bit of sorghum. The addition of molasses mask the sorghum flavor nicely, allowing the brown sugar, caramel and hops to come through. This well-balanced beer will taste great alongside smoky BBQ or Mexican food. Belgian Ale (6.8% ABV): The addition of honey, orange peel, cinnamon, and vanilla round out this complex yet balanced European style. The vanilla and cinnamon were the prevailing flavors, providing a medium mouthfeel. The Belgian Ale is best characterized as a spicy tea-like cider. New Planet recommends pairing this with Belgian blue cheese, or grilled salmon. Blonde Ale (6.0% ABV): Along with sorghum, this beer is brewed with corn and orange peel and pours an almost clear golden color. Light in body and slightly sweet, this is a great session beer that would be a welcome addition to any warm weather tailgate. This beer will taste great with any pizza or spicy food. Brown Ale (6.0% ABV): Earning the Bronze Medal at the 2013 Great American Beer Festival, the Brown Ale uses a combination of brown rice extract and molasses to provide a thicker mouthfeel and darker color. The addition of coffee, cocoa, vanilla and cinnamon add to the complexity. The aroma reminds me of cola along with some brown sugar and metallic notes. It tastes quite sweet, with a sour, almost medicinal flavor. I would not recommend this beer. New Planet suggests pairing this with full-flavored grilled meats like sausages. Pale Ale (6.7% ABV): Pale Ale is the new name for the popular Off Grid Pale Ale. Sweet and lemony hops dominate the aroma. This brew starts off with a honey-like sweetness, then transitions to light, hoppy bitterness with a bit of citrus. I'd prefer more hops and thicker mouthfeel since this is an American Pale Ale. New Planet appropriately recommends drinking this with spicy and aromatic foods. Raspberry Ale (5.0% ABV): Brewed with natural raspberry puree and orange peel, this award winner used to be called 3R Raspberry Ale. The combination of sweet and tart raspberries and plenty of carbonation make this an extremely light and refreshing beer. 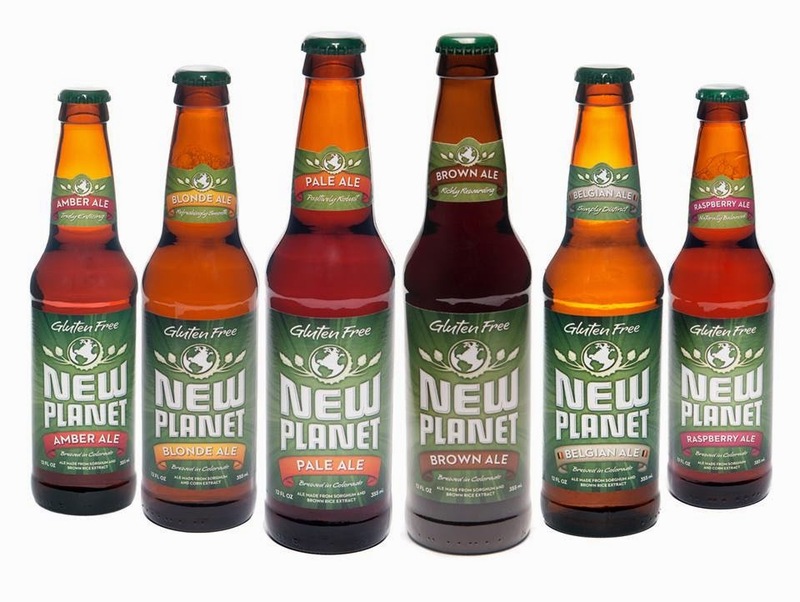 New Planet did a great job of all but hiding the unpleasant taste of sorghum without adding any overt sweetness. I look forward to drinking this ice cold in the summertime. Pair this with dark chocolate or chicken or pork dishes.